AQUA LOSS is an all-natural diuretic that helps to eliminate excess water from the body. It assists in the reduction of bloat and enhances muscle definition by supporting subcutaneous water loss (from beneath the skin). AQUA LOSS is a potent blend of over 2.5g of fully disclosed maximum strength herbal actives to help you rid yourself of that soft, puffy look before you hit the stage, the beach, get ready for a photo shoot or if you simply want to look your best for a weekend of fun and clubbing. AQUA LOSS also supports a healthy fluid balance from added key electrolytes like magnesium and potassium. Keeping a healthy fluid balance, while shedding excess water, is crucial in maintaining muscle strength and fullness. AQUA LOSS is stimulant-free (no caffeine!) and works for both men and women. THE SCIENCE BEHIND AQUA LOSS 1G – DANDELION ROOT EXTRACT (TARAXACUM OFFICINALE) Dandelion root is a flowering plant that is used in place of many synthetic diuretics for its proven ability to enhance the body’s eliminative and detoxifying functions, such as excess water retention. It does so without any accompanying mineral depletion.750MG – OXYSTELMA ESCULENTUM Science has shown that this natural Ayurvedic herb functions as a very effective diuretic. In particular, research has demonstrated for it to elicit a long-lasting diuretic effect of up to 24 hours post ingestion. 450MG – HORSETAIL EXTRACT (EQUISETUM ARVENSE) This herb dates back to ancient Roman and Greek times. It has been reported to safely assist and improve water removal flow as well as frequency. 375MG – UVA-URSI LEAF This is another natural plant leaf. It has a long history in herbal medicine as a safe and gentle diuretic that can help shed water and reduce bloat. 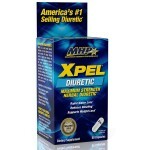 RECOMMENDED USE: Take 4 capsules twice a day with 8 oz of water, morning and afternoon. We suggest using this product for 5 consecutive days to achieve your desired loss of excess subcutaneous water. Drink at least 6-8 glasses of water a day. Do not exceed recommended dosage. Recommended Use: Take 4 capsules twice a day with 8 oz of water, morning and afternoon. We suggest using this product for 5 consecutive days to achieve your desired loss of excess subcutaneous water. Drink at least 6-8 glasses of water a day. Do not exceed recommended dosage. Regular exercise and proper nutrition are essential for achieving your weight loss & physique goals. 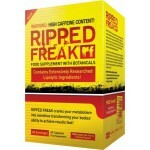 As individuals vary so may results from using this product. Hypromellose (vegetable capsule), magnesium stearate, silica, titanium dioxide. This product is intended to be use by normal healthy adults and should not be taken by anyone with any known medical conditions. Do not use if pregnant or nursing. Keep out of reach of children. 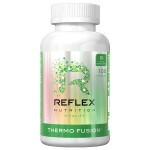 Reflex Thermo Fusion®Thermo Fusion® is a..
Ripped Freak 60 capsules from PharmaFrea..
Xpel by MHPXpel is an extremely powerful..
Berserk Labs T-Burner is an advance..
NUTREX RESEARCH LIPO 6 AQUA LOSSSame Day..